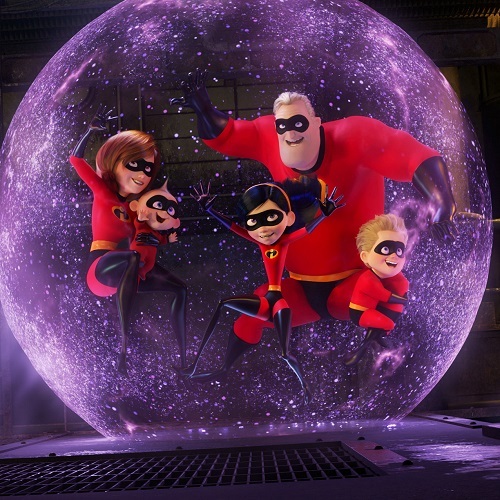 The exploration of Mr. Incredible’s descent into domestic life was my favorite part of the film, and I had been worried it would be outdated Mr. Mom-style jokes. The movie steers away from most of the tired gender tropes, moving past simply having an incompetent man performing household duties in hilariously incompetent ways. The jokes aren’t dependent upon a man doing them so much as someone who feels out of step and beleaguered, so parenthood in general. The first movie was about midlife identity crises and that has carried over into this sequel as well. Bob has a meaningful challenge with each one of his children, having to re-learn old concepts with his son and adapt to new ones, having to tackle the minefield of dating with his daughter and finding the right tone, and the increasingly the demands of a child with, let’s call them, special needs. The Jack-Jack segments are inspired pieces of old school Looney Tunes slapstick. 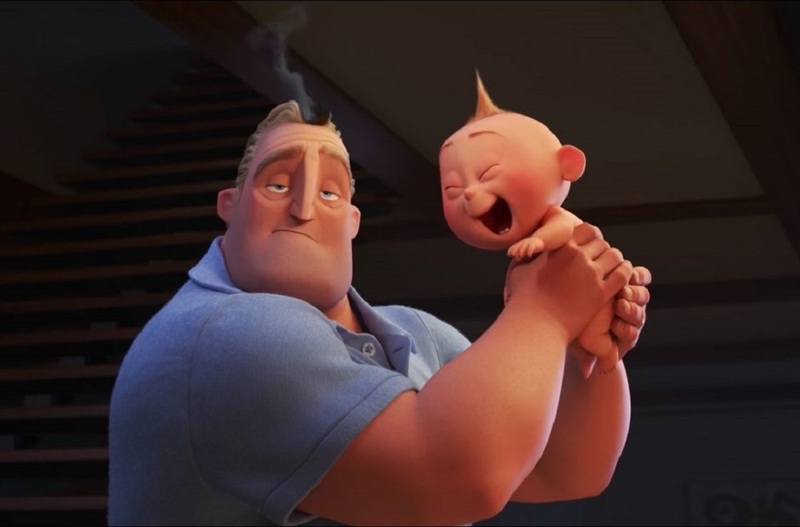 Each new power provides another point of discovery for our characters that, remember, are initially clueless about Jack-Jack’s amazing abilities. Mr. 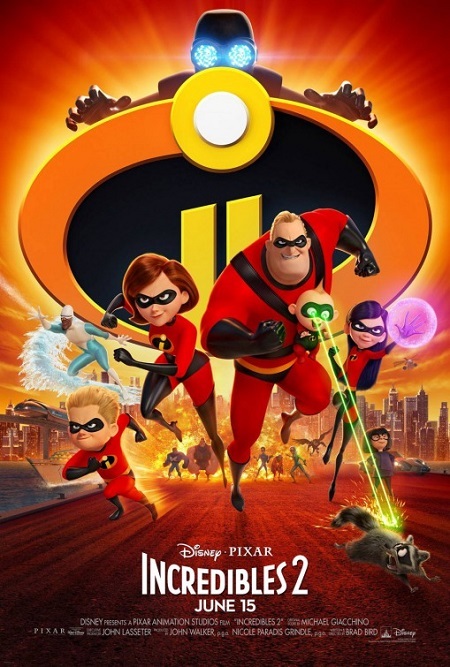 Incredible is so eager to get back to being a super hero that forcing him to confront his own inadequacies as a parent is a smart way to better open him up as a three-dimensional character. I enjoyed the action of Elastigirl’s spotlight missions, but I kept looking forward to returning to the other Parrs.